Grade II Listed home: kitchen tiling, living room, exterior. All in Farrow & Ball. “The Ideal Tradesman has done a considerable amount of work to our house. They have renovated the kitchen (decorating, floor and wall tiling) as well as doing a lot of other interior and exterior paintwork and sanding and varnishing our wooden floors. They are totally reliable, clearly say what they are going to do, and then do it thoroughly. As promised, they also work in an exceptionally clean and tidy manner. I personally wouldn't use anyone else”. “Having never renovated a house before I did initially feel out of my depth. However having advice, prompt quotations and a clear step by step plan to completing the work I felt confident working with The Ideal Tradesman. Our house was beautifully transformed, each room was painted taking good care and great attention to detail. As I have young children they kept everywhere tidy and worked professionally. I couldn’t recommend more highly”. 1930’s home: living room, kitchen and bathroom tiling, wooden floor renovation and varnishing. All in Farrow & Ball. 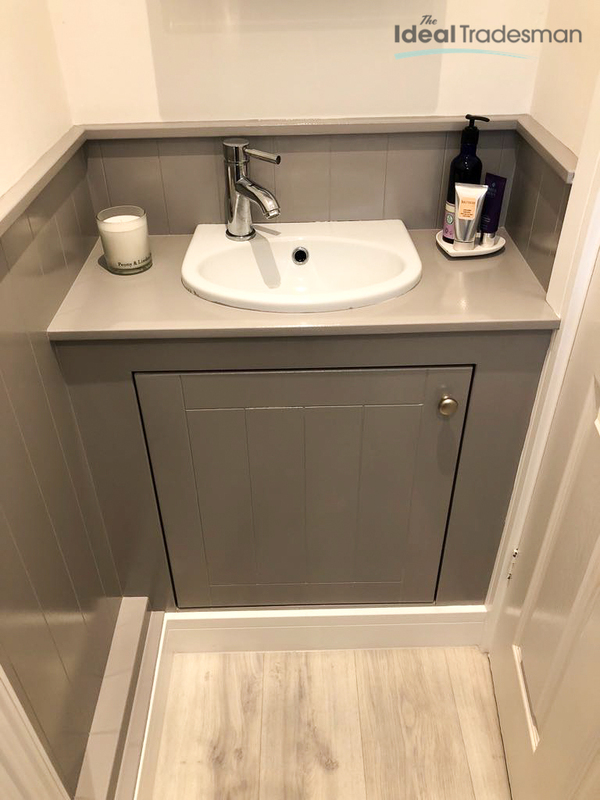 “We wanted to create a specific look in our home and The Ideal Tradesman offered a lot of advice on paint colours and finishes, as well as reassuring us that our wooden floors could be refurbished before varnishing. They created a detailed project plan for us that minimised disruption and helped us plan our budget. They stuck to this plan and the estimate was accurate. They were a pleasure to have in our home”.